With four campuses – the Auckland Park Kingsway, Auckland Park Bunting Road, Doornfortein and Soweto, the University of Johannesburg is easily accessible to any student with a desire to pursue a career in countless industries. 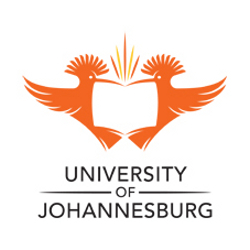 The University of Johannesburg has two birds coming together and embracing an open book as their logo, this is emblematic of the union of respected learning institutions into one powerful new entity. The birds also represent the concepts of freedom – freedom at academic, personal and social levels; independence, success, dignity and mobility, all of which are the core values of the University of Johannesburg. UJ as we know it today is a product of the incorporation of the Soweto and East Rand Campuses of Vista University into Rand Afrikaans University (RAU); and the merger of RAU with the Technikon of Witwatersrand (TWR) in 2005. Johannesburg, boasting with metropolitan bliss and business influence, is a superb location for a university. Not only does this huge city bring diversity in cultures and people, but in the range of student activities and programmes offered by the University of Johannesburg. How does the application process work at the University of Johannesburg?